We came across The Pee Tree, an indoor toilet with a difference at the Melbourne Dog Lovers Show this year. 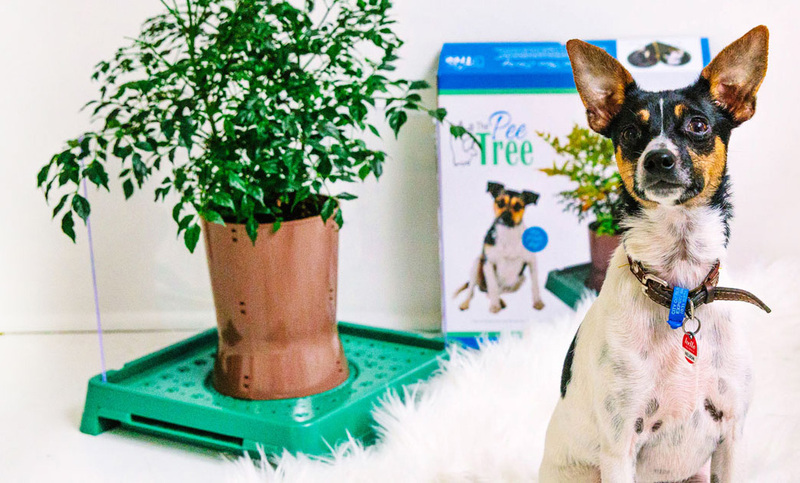 The Pee Tree is an easy to clean indoor toilet specifically for male dogs, which allows you to display a plant in the centre. This product was also a finalist on TVSN Your Grand Idea and appeared on Network Ten’s Studio 10 recently. After a stormy night of thunder and lightning, Bosco - the inventors' dog - huddled inside in the comfort of the laundry. When they arrived home from work, he was still too scared to go outside and had consequently relieved himself on the laundry basket. They thought there had to be an easier and cleaner way for dogs to use the toilet indoors! And so, The Pee Tree was born. The Pee Tree was designed for small to medium sized dogs who may not have access to an outdoor area during the day. It also allows dog owners to use a pot plant of their choice in the centre of the unit. This makes The Pee Tree not only a more appealing choice of toilet for dogs generally - going to the toilet on a plant is a far more natural thing for a dog to want to do - but also makes The Pee Tree far more visually appealing than any other dog toilet on the market. How does the Pee Tree work? As a result of extensive design and testing, The Pee Tree is very easy to assemble and use. The product box contains seven easy to assemble parts which once assembled a pot plant can be placed. The Pee Tree was designed to be as effective as possible at being an indoor toilet for male dogs. From a carefully selected height to the addition of an optional rear splash guard, the result is not only a more visually appealing indoor dog toilet, but also a more effective one. How do you clean the Pee Tree? The maintenance of The Pee Tree is simple. 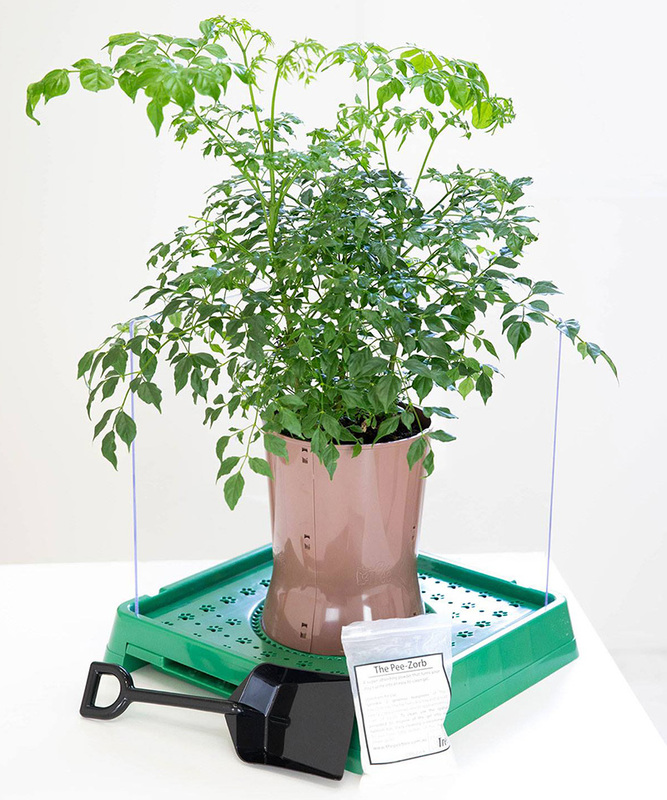 The Pee Tree is designed with a removable tray so clean up is quick, simple and less of a chore! The company also offers Pee Zorb, a specially made non-toxic super absorbent powder which eliminates odours and turns the dog’s urine into a gel that is safe to dispose of. You simply sprinkle it in the drip tray before use and after each clean up. The Pee Clean is a bacterial stain and odour remover you can spray. It contains billions of friendly bacteria that target and digest urine removing the smell from your Pee Tree, then simply wipe and rinse with warm water.